Is Yoga Your Key to Weight Loss? photo credit dominik wycislo via unsplash.com. Yoga, that ancient practice of calming the mind and moving the body in controlled and precisely executed movements, has gained a growing level of popularity in gym classes, yoga studios and home exercise settings alike. Some see yoga as a simplified, less strenuous way to meet their weekly goals for physical activity. Others seek the self control that comes with the required levels of concentration that yoga demands. One surprising benefit of yoga can be its ability to aid in weight loss. Of course, the obvious success formula for losing weight is to expend more calories than you take in and to do this on a continual basis. Traditional yoga practices may not be the most powerful road to achieve that goal. Still, yoga offers something beneficial in the battle against weight gain that may be easy to overlook. 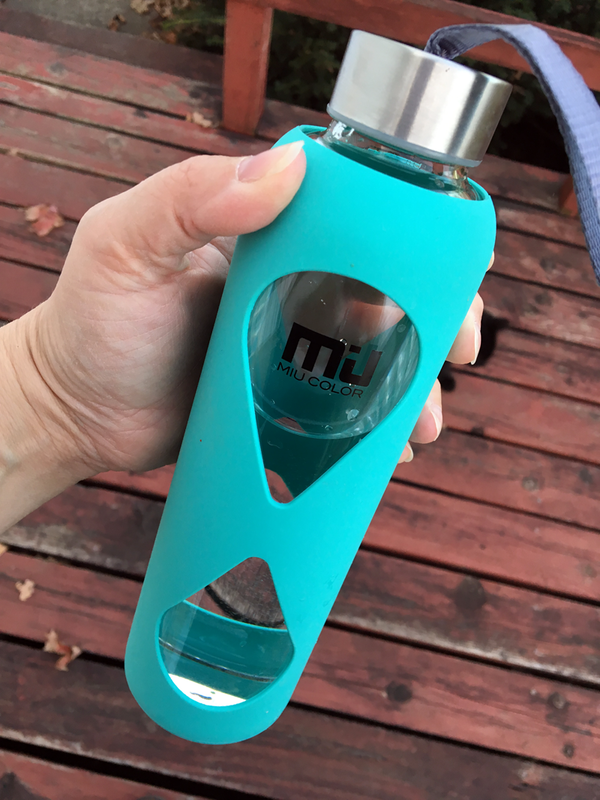 I love to bring along my miu silicone sleeve glass water bottle to any yoga session. It’s the perfect eco-friendly glass bottle with an anti-slip and removable silicone sleeve. Plus, it’s super easy to carry with the secure grip which helps against breakage. And I love using the convenient carrying loop for on-the-go. I can carry it from work to yoga to all those after school activities. The 18oz glass water bottle is perfect for camping, hiking, the kitchen, office, travel, yoga, school and more so you can stay hydrated all day while looking style. My favorite is the tiffany blue color. 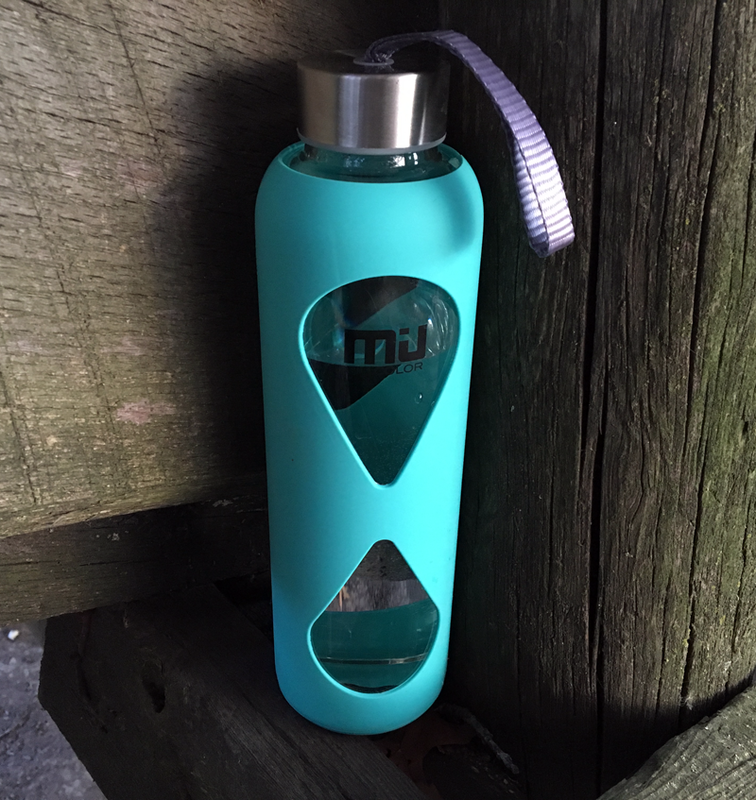 Get your miu water bottle ! Yoga, when practiced to perfection, seeks to bring the practitioner into a state of harmony between the mind and the body. Finding that personal center is key to achieving the desired balance between the mind and the body. Yoga can bring about the state of mindfulness that allows the practitioner to identify and pursue the best behaviors to benefit the body overall. A calm, healthy mind wants a calm, healthy body. The discipline of the yoga practice can transfer over into making healthier food choices which, in turn, can lead to a healthier body and a more desirable body weight. Another benefit of yoga is its ability to calm the mind and provide an outlet for stress relief. Stress is an all too common catalyst for emotional eating. That hour spent in the practice of yoga is an hour that is not spent in medicating emotional trauma with carbohydrates. The psychological benefits last far beyond the actual activity. Yoga disciplines the mind. The well disciplined mind gives strong direction to the body. The secret, if you can call it that, to successful weight management is much more than the simple concept of input and outgo. The mind and body connection that must take place to create health and strength in both areas is greatly aided by the dedicated practice of yoga. Those New Year’s resolutions are upon us and soon we’ll be asking ourselves for those tips to get healthy and lose weight in the New Year. Do you do yoga? Comment below and let us know your experience with yoga!